"Will God forgive us for destroying His creation?" 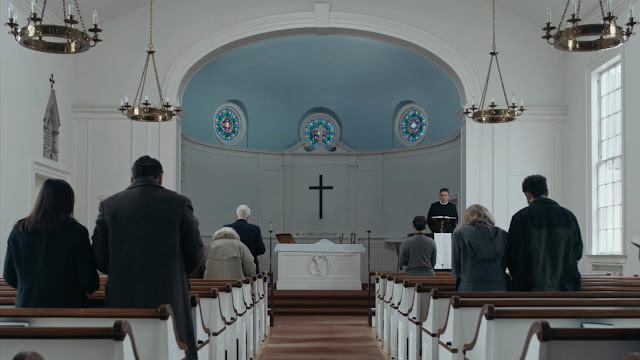 First Reformed, 71-year-old veteran filmmaker Paul Schrader's latest film, features a very contemporary crisis of faith story Christian films really are neglecting. It's an utterly bleak yet stirring and measured depiction of the conflict of contemporary American Christianity amidst realities of corporatization and radical extremism. A ragged and isolated Ethan Hawke, who looks svelte despite spending the whole film being told by other characters he looks awful, fully captures the portrait of an earnest but intellectual pastor with no congregation but plenty of internal turmoil and fatalism trying to do right by people both faithfully and ideologically. It's a moving performance of lingering sadness, depression, and a desperate search for salvation through the complexities of understanding faith. Framed in the box-like Academy ratio of 1.37, cinematographer Alexander Dynan captures the headspace of the characters, both literally and figuratively, sublimely in close-ups and from below with a stage-like theatrical reverence for their emotions. It's a truly affecting dissection of the contrasting ideals of religious devotion to Jesus (think Silence) as it addresses our failings of God. Stripped down to a frumpy demeanour, Amanda Seyfried plays a pregnant wife very rightly worried about her troubled activist husband over the morality of bringing a child into today's doomed world. It's an understated yet illuminating performance of sparkling mundanity. She brings a casual devotion to fellowship and the humanity of worship. Her chemistry and relationship with Hawke's reverend Toller anchor the ideological turmoil of Christianity throughout the film's slow-paced tension. In a dramatic turn, Cedric the Entertainer (credited as Cedric Kyles) delivers a nuanced supporting performance as Hawke's church superior. He runs an affiliated megachurch suitably named "Abundant Life" (a clever dig) that reflects more onto the shallow concerns of daily life over the neglected realities of our environment. 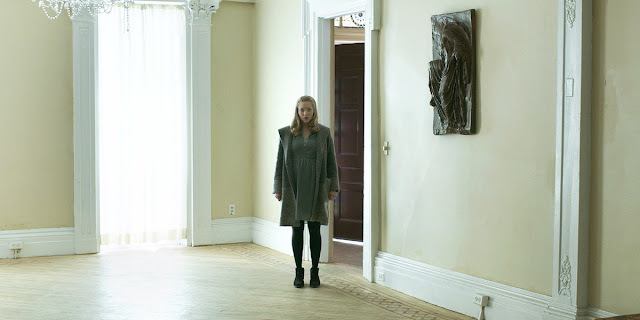 First Reformed is a thoughtfully executed rumination on faith and humanism. An aged Hawke has rarely been better. Schrader crafts the film into an extended metaphor for Christianity's lost values. The film questions everything and provides no real answers yet fulfills as a largely satisfying experience while sparking some welcome debate.